This is Jim’s traditional Christmas column. Some say I’m a scrooge. They might be right. 1. The early part of my career was spent in retail. Retailers know what that does to your holiday spirit. There’s a syndrome for everything else; why not one for retail survivors? Let’s call it PTHSS: Post-Traumatic Holiday Shock Syndrome. 2. Since I don’t wait until the holidays to give someone a gift, I just don’t get all worked up about holiday giving. Not that the ladies mind getting stuff all year (let’s not lose our heads!). It’s just that they want me to be giddy about giving at Christmas-time. Giddy? Bah! Humbug! a) If someone gives my significant other and me a last-minute Christmas gift, “Other” feels obligated to reciprocate. I don’t. I’ll do something nice for them in March. b) After the Christmas cards have been sent, if an incoming card is received from someone not on your list, do you rush to get a card out to them? Not me. Maybe next year. In “The World, According To Blasingame,” giving should be voluntary, not obligatory. In fact, to a scrooge, not reciprocating is endearing. It’s not that I don’t like the holidays. As a Christian, this is an important time in my faith life. As a capitalist, the importance of holiday spending to our economy is not lost on me. But I just don’t care for what we self-absorbed humans hath wrought on the holiday season. And if that makes me a scrooge, guilty as charged. 1. 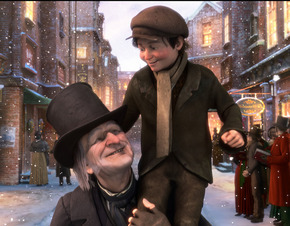 Scrooges can be lovable, huggable, and yes, even cute. 2. It’s a myth that all scrooges are skinflints; some are actually quite generous. But their generosity isn’t obsessive, isn’t tied to a calendar, and doesn’t come with giggles. 3. Scrooges can be quite caring and compassionate, without saying, “Bless their hearts” over and over. I challenge myself to be more receptive to, and tolerant of, the silly parts of the holiday season, and those who perpetuate the silliness. But please, be patient; the mill of a scrooge grinds slowly. Write this on a rock … Peace to you and yours. Shalom. Salaam. Que la paz este con ustedes. This is Jim’s traditional Christmas message. 1. The early part of my career was spent in retail, which is tough on the holiday spirit. There’s a syndrome for everything else; why not one for retail survivors? Let’s call it PTHSS: Post-Traumatic Holiday Shock Syndrome. 2. Since I don’t wait until the holidays to give someone a gift, I just don’t get all worked up about holiday giving. Not that the ladies mind getting stuff all year (let’s not lose our heads!) — it’s just that they want me to be giddy about giving at Christmastime. Giddy? Bah! Humbug! a) If someone gives my significant other and me a last-minute gift before Christmas, “Other” feels obligated to reciprocate. I don’t. I’ll do something nice for them in March. b) After the Christmas cards have been sent, if an incoming card is received from someone not on your list, do you rush to get a card out to them? Not me. Maybe next year. In The World According To Blasingame, giving should be voluntary, not obligatory. In fact to a scrooge, not reciprocating is actually endearing. It’s not that I don’t like the holidays. As a Christian, this is an important time in my faith life. As a capitalist, the importance of holiday spending to our economy is not lost on me. But I just don’t care for what we self-absorbed humans hath wrought on the holiday season; and if that makes me a scrooge, guilty as charged. On behalf of my misunderstood scrooge brethren and sistren (I met a female scrooge once), let me clear up a few things. 1. Scrooges are lovable, huggable and, yes, even cute. 2. It’s a myth that all scrooges are skinflints. Some are actually quite generous, but their generosity isn’t obsessive and doesn’t come with giggles. I challenge myself to be more receptive to, and tolerant of, the silly parts of the holiday season and those who perpetuate the silliness. But, please, be patient; the mill of a scrooge grinds slowly. I challenge us to be more generous, loving, thankful and spiritual all year long, not just during the holidays. Peace to you and yours. Shalom. Salaam. Que la paz este con ustedes. Jim Blasingame is author of the award-winning book, The Age of the Customer: Prepare for the Moment of Relevance. Not that the ladies mind getting stuff all year (let’s not lose our heads!) - it’s just that they want me to be giddy about giving at Christmastime. Giddy? Bah! Humbug! 3. Scrooges can be quite caring and compassionate without saying, “Bless their hearts,” over and over. In this week's video I share by Christmas message while offering advice about dealing with the scrooges of the world. 2. Since I don’t wait until the holidays to give someone a gift, I just don’t get all worked up about holiday giving. Not that the ladies mind getting stuff all year (let’s not lose our heads!) — it’s just that they want me to be giddy about giving at Christmas-time. Giddy? Bah! Humbug! 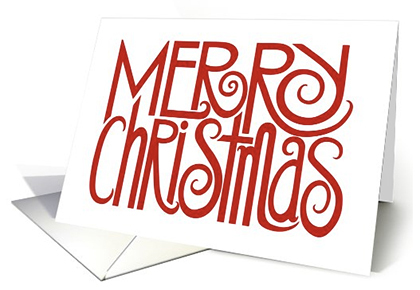 b) After the holiday cards have been sent, if a card comes in from someone not on your list do you rush to reciprocate? Not me – maybe next year. In fact, to a scrooge, not reciprocating is endearing. It’s not that I don’t like the holidays. As a Christian, this is an important time in my faith life. As a capitalist, the importance of holiday spending to the economy is not lost on me. But I just don’t care for what we self-absorbed humans hath wrought on the holiday season; and if that makes me a scrooge, guilty as charged. 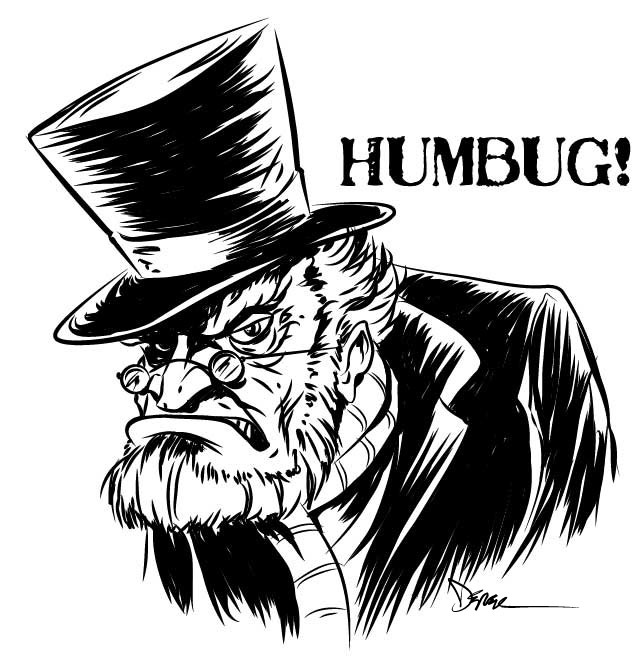 On behalf of my misunderstood brethren and sisteren (I heard of a female scrooge once), let me clear up a few things. Scrooges can be lovable – even cute. Some are actually generous, but without the giddiness. 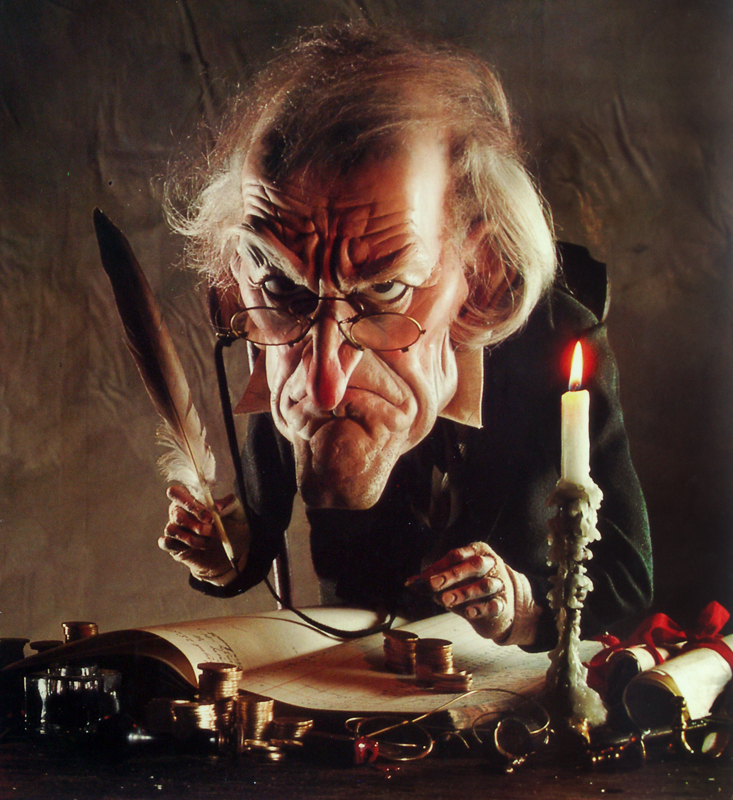 Scrooges can be compassionate without saying, “Bless their hearts,” over and over. 1. I challenge myself to be more receptive to, and tolerant of the silly parts of the holiday season. But please, be patient; the mill of a scrooge grinds slowly. 2. I challenge us to be more generous, loving, thankful and spiritual all year long, not just during the holidays. 1. Scrooges can be lovable – even cute. 2. Some are actually generous, but without the giddiness. 3. Scrooges can be compassionate without saying, “Bless their hearts,” over and over.